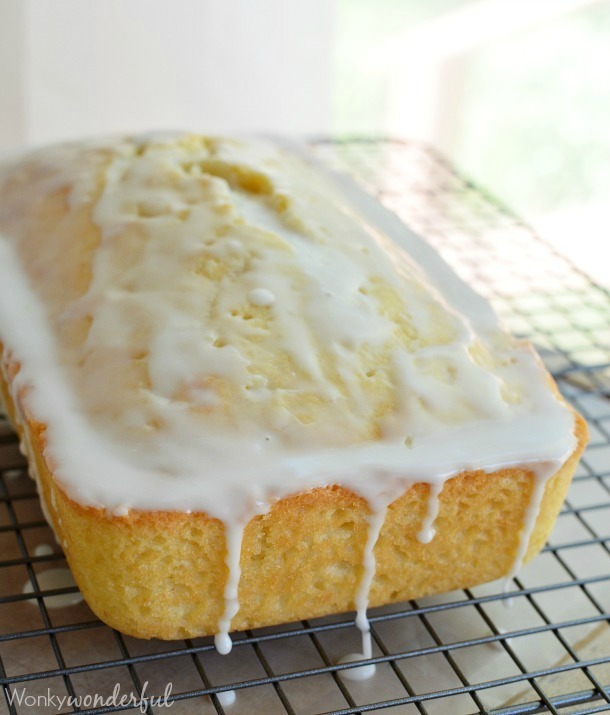 Take a break from the traditional holiday quick bread recipes and make this Coconut Bread with Lime Glaze. 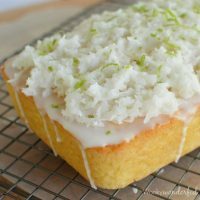 Moist coconut cake topped with lime glaze and sweet coconut! I love all of the holiday flavors. Pumpkin, peppermint, eggnog and gingerbread. But holiday treats don’t always have to be so predictable. 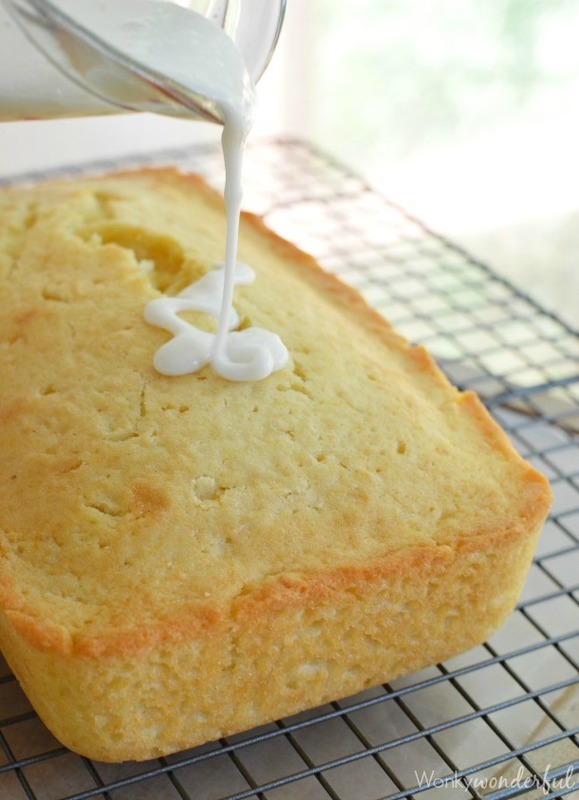 I wanted to make a quick bread recipe that can be enjoyed year round. I came back to one of my favorite flavor combinations. 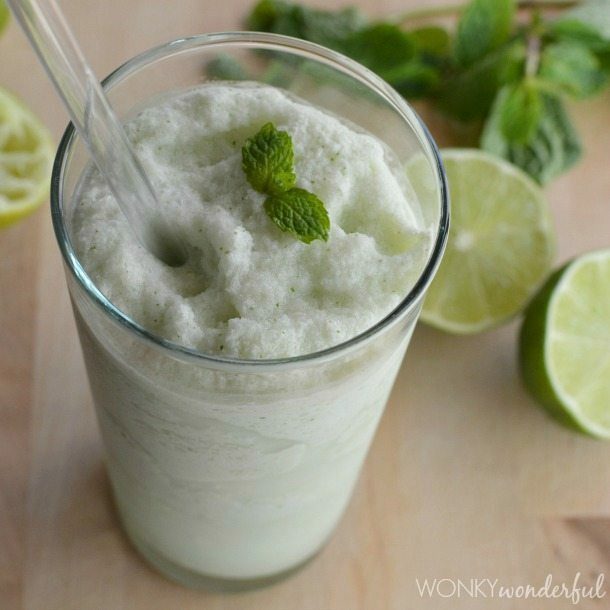 Not only is coconut and lime a winning combo. I also get to sing that fun ‘Lime in the Coconut’ song! 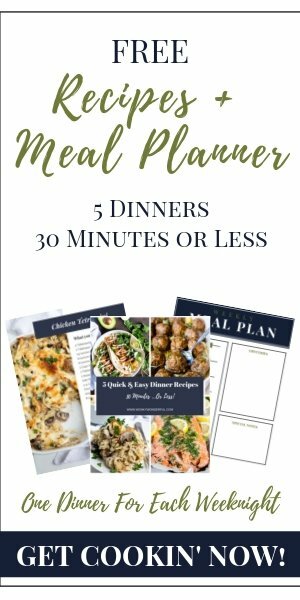 Who doesn’t plan their menu around what songs they will sing while cooking? Anyone? No, just me? 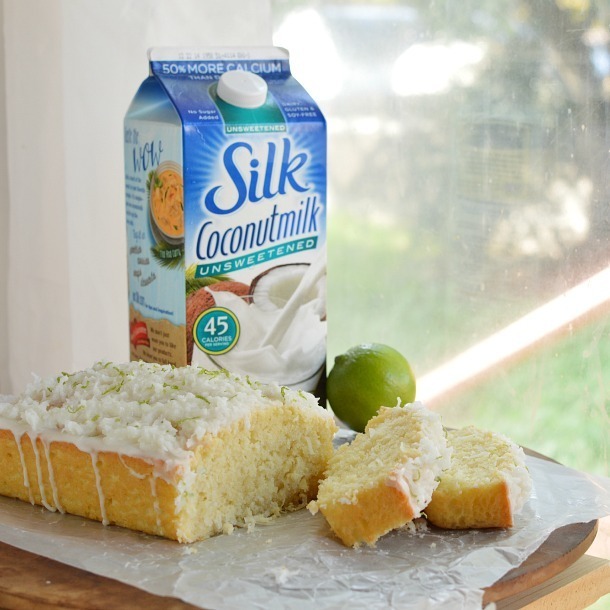 This Coconut Bread gets it’s flavor from Silk Unsweetened Coconutmilk and sweetened flaked coconut. 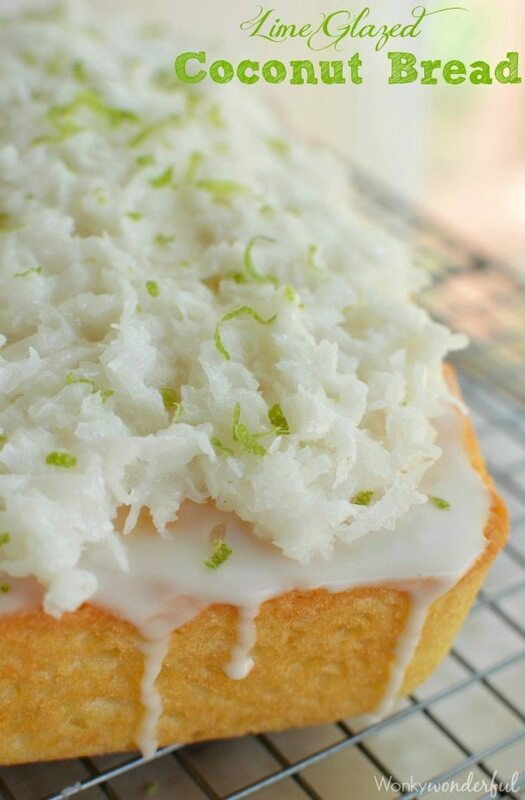 It is then topped with a tart lime glaze, fresh lime zest and more coconut! 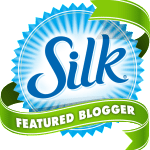 TRY SILK & SAVE! Get coupons, a special birthday offer, sweepstakes and promotional information and monthly chances to win a year’s supply of Silk! I love using Silk for my holiday baking. 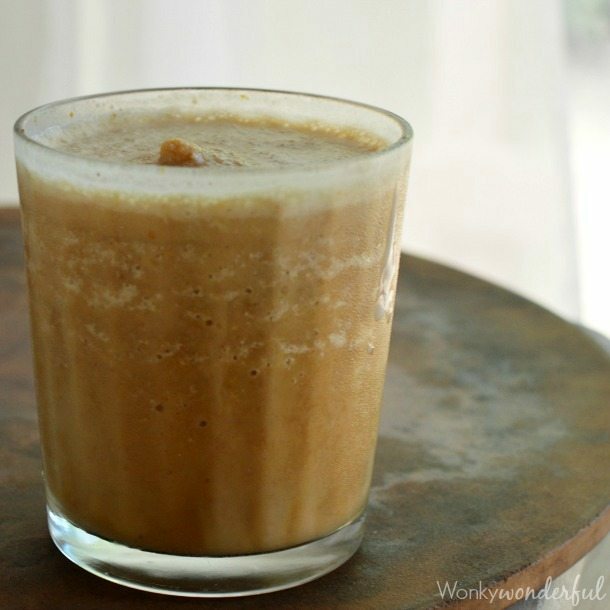 In most instances it works just as well as dairy milk, sometimes better. Here is the obligatory glaze drizzling shot. I can’t post anything glazed without it! 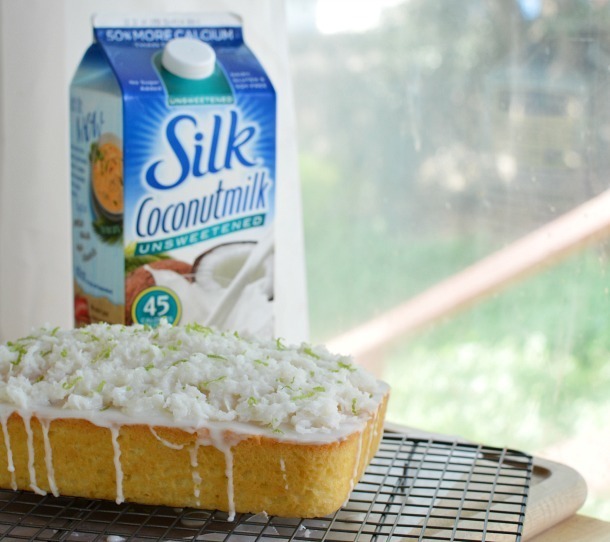 To make that coconut stay on top, mix flaked coconut with half the glaze to make it sticky. That way you don’t have coconut flakes falling all over the place. ​Grab a slice. Or two. Or three. Hey, don’t judge. 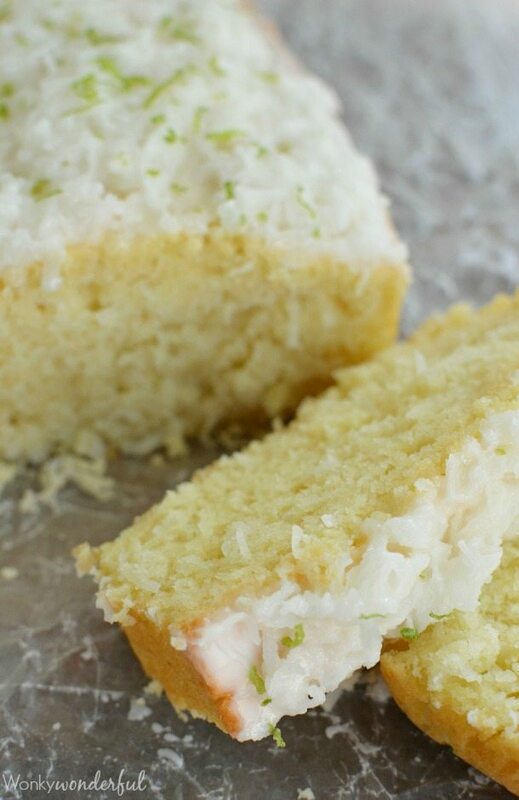 This coconut bread is Awesome! Mix butter and sugar. Add eggs, coconutmilk and vanilla while mixing. Transfer batter to a bread pan sprayed with non-stick. Mix powdered sugar and lime juice until smooth. 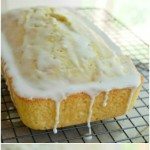 Spread half of the glaze onto coconut bread. 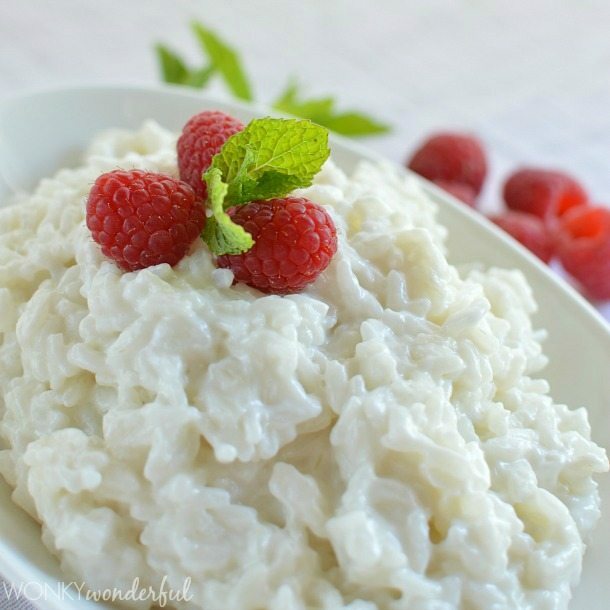 Mix flaked coconut with the remaining glaze. Top bread with glazed coconut and lime zest. Yields 1 loaf of coconut bread. More Silk Deliciousness. . .